This poor customer was the victim of an attempted Ram Raid. It was like something out of the Italian Job. 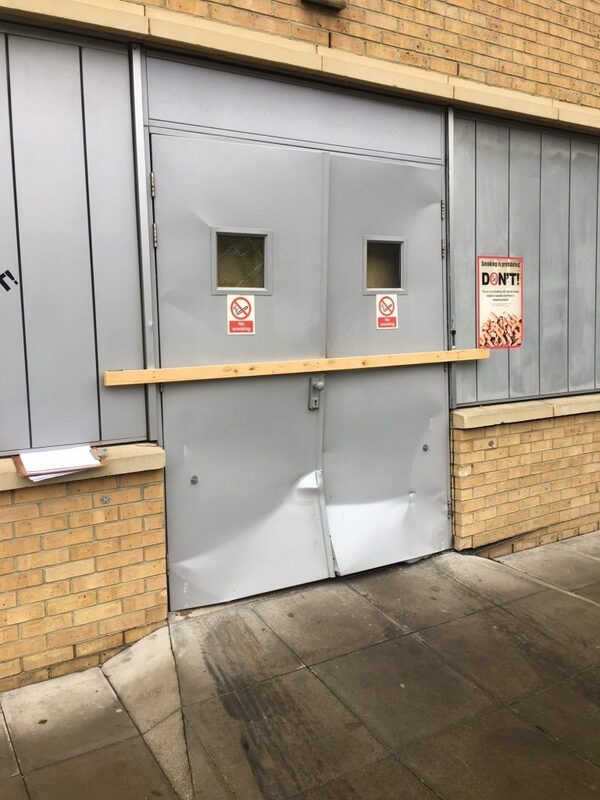 The thieves used a Mini car to ram the doors open, they then put chains around the cash machine and attempted to pull the machine out of the building. Unfortunately for them, they pulled the axle off the car instead. The attempt may have been unsuccessful but they left allot of damage in their wake. A ruined machine, a ruined door and internal damage to the structural opening of the building. 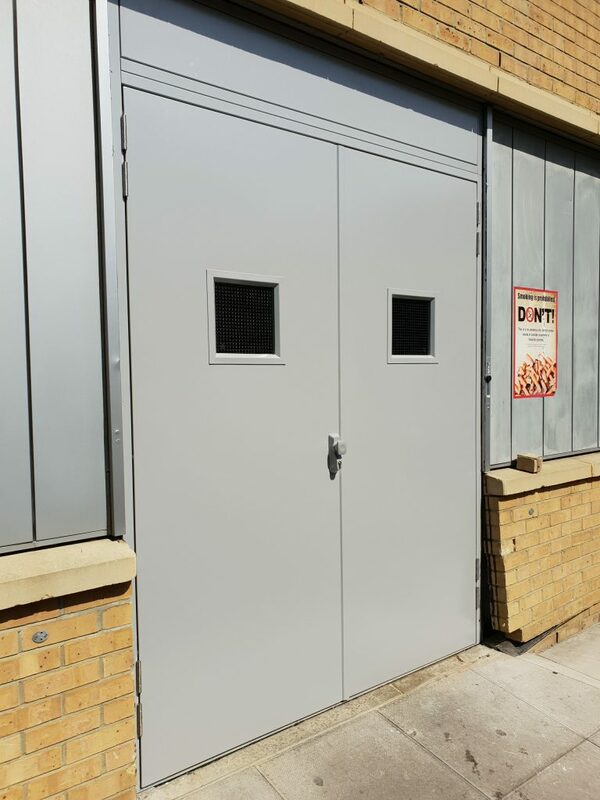 We installed new steel work to repair the structural opening and then installed a new personnel door for them. This wasn't a cheap repair; however there are devices that can be installed to help stop ramming attempts. Such as Bollards or Bars. Click on our Accessories page to see what devices are available; along with other types of accessories you may find useful. Would you would like to learn more about the devices available to help combat this type of damage? 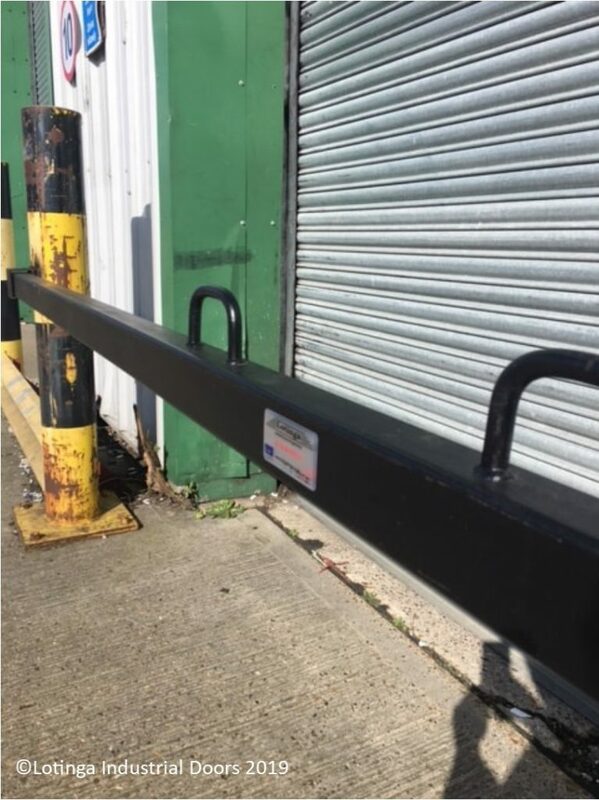 Click on our Barriers Page or for further information.